A tagline is a short, memorable phrase that sums up your brand’s main benefit and/or differentiator. Let’s talk about taglines. It’s a word that’s thrown around quite a bit, but what does it really mean? 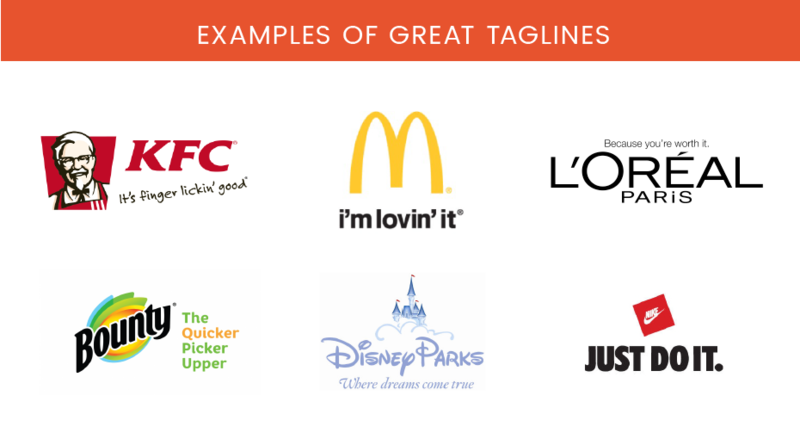 HubSpot writes that companies have taglines for the same reason they have logos—advertising. Taglines grab consumers’ attention more readily than a company name or logo might. Plus, they’re simpler to understand and remember. A good tagline clearly conveys a unique benefit or feature of your company or product that makes consumers want to learn more. 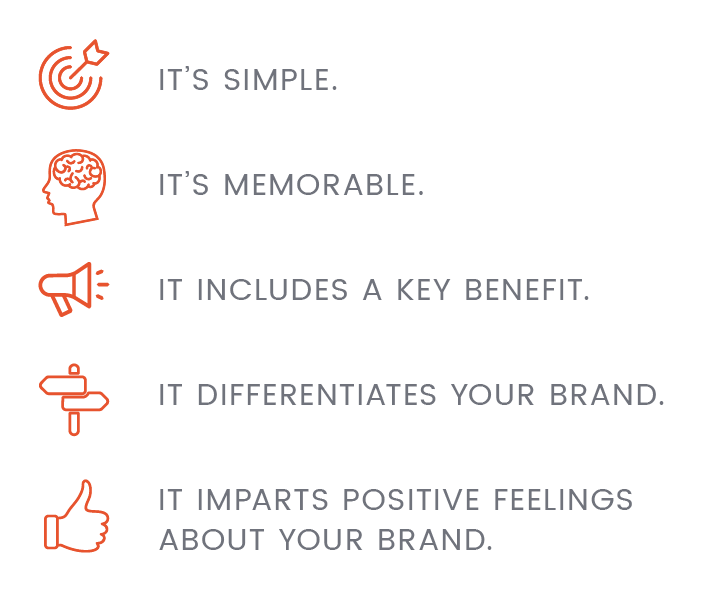 If nothing else, it’s the key takeaway—what you want consumers to remember about your brand. A tagline is not a headline. It’s not just catchy copy that you include in a marketing piece. It’s a core part of your brand identity, used consistently throughout many, if not most, of your marketing and advertising. For instance, a brand’s tagline is usually part of its brand identity package, with a logo version that is paired with the tagline. While similar in purpose, a tagline is also different than a slogan. A tagline represents your entire brand or company. It typically has a long lifespan, whereas slogans are generally product- or campaign-specific. For instance, you could have a tagline for your company and have slogans for your key products or services. It’s important that your tagline aligns with your overall brand identity—you can’t create it in a vacuum. Examine your brand name, logo, and key messaging (if they already exist). Determine your brand’s Unique Selling Proposition (USP), differentiators, and benefits to your target audience. All of these things should inform the development of your tagline. By taking the time to craft or fine-tune these components, your logo, tagline, and other messaging will all sing off the same sheet of music, giving your brand a cohesive, credible position. If not, you risk sending contradictory messages, which can dilute your brand and hurt your credibility. Your tagline (along with logo) is often the first impression customers have of your brand...it should be the most memorable. Want a tagline that piques your customers’ interest and generates new leads? We’re ready to go!